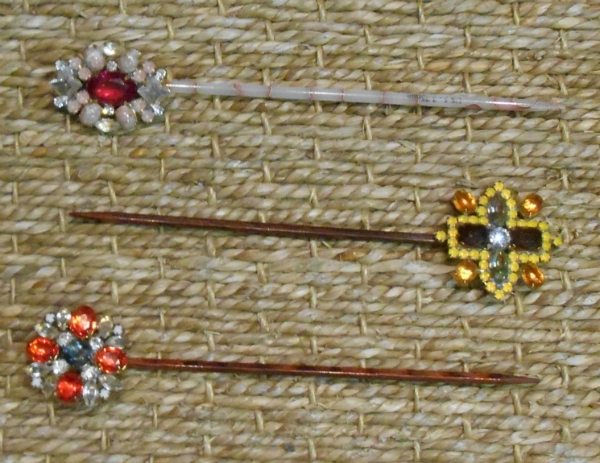 Bring a bit of glamour to your needlepoint with a jeweled laying tool. Laying tools are essential to creating a smooth look for long stitches. The straight part is 5 inches. Let us pick for you or call the shop at 650-321-3494 to discuss available "jewels".